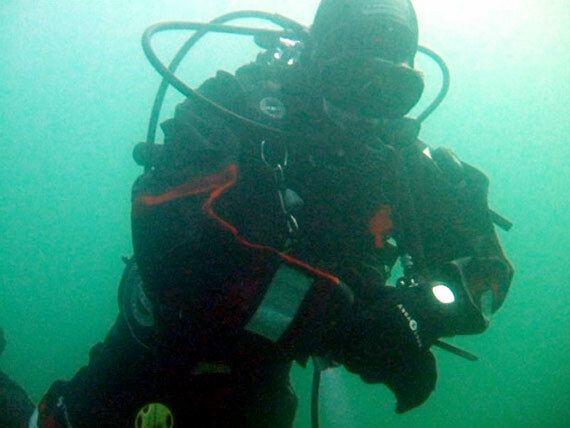 Typhoon’s new Fathom is a thoroughly modern drysuit for the toughest of conditions. 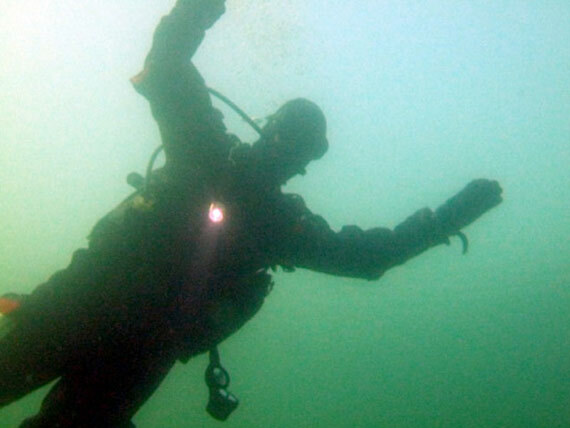 One of the ironies of diving is that it’s possible to get wet and stay dry at the same time. 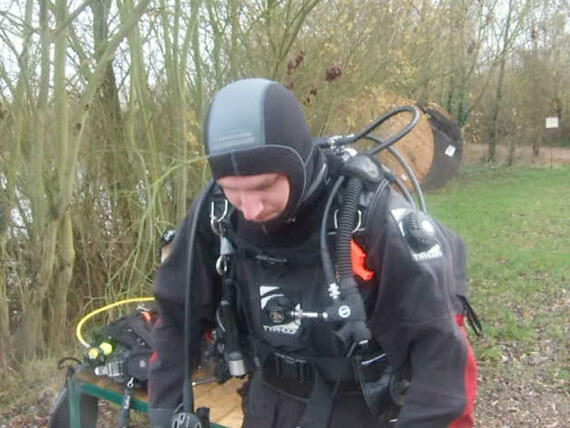 A decent drysuit can totally transform some pretty brutal UK dives, leaks notwithstanding. 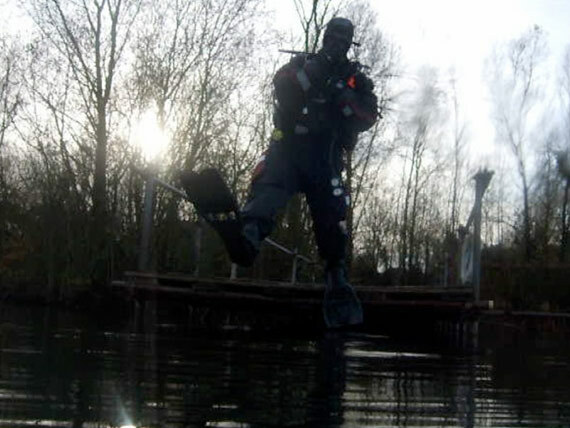 With that in mind, if you’re serious about your green water diving, a decent suit is a worthwhile investment. Drysuits come in all shapes and sizes, but Typhoon’s top-of-the-range Fathom has the serious cold water user in its sights. Speaking of shapes and sizes, actually there are several new suits to choose from. All of them are made up of tri-laminate material. Tri-laminate, as the name suggests, consists of three layers: typically latex rubber in the middle providing the waterproofing, with a nylon coating either side. Light and immensely strong, this suit feels much more comfortable and less restrictive than my enduring neoprene Seamaster. For sure the textiles are thinner (even though there are more of them), not only for the body but also the Fathom’s Polyurethane reinforced elbows, latex seals and trusty Neoprene around the neck for warmth. Fathom owners also get reflective patches and a couple of handy extendable pockets on the legs. This suit shipped with an Apeks dump on the shoulder as standard, although if you’d prefer a wrist version, one is available to order. Just put your hand up. Completing the package, the drysuit comes in its own handy string bag, and you get a new 7mm hood to keep the teeth chattering at bay. Unlike Neoprene, Tri-laminate offers little in the way of thermal protection, so if you want to dive this way a decent undersuit is essential. Typhoon make a range of these, as do several other key manufacturers. Splash in wearing the Fathom, allow the air to trickle out and shut the dump, and you’re good to go. It’s roomy on the inside so there’s quite a bit of squeeze on a suit like this. Pop a squirt of air in, adjust yourself and get comfy for the dive. 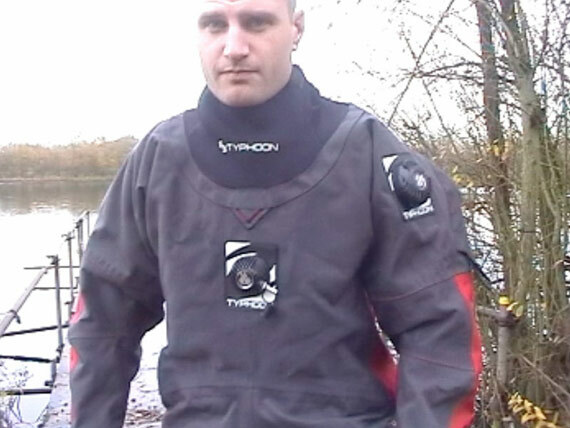 Sitting at the top end of Typhoon’s drysuit range, the Fathom is not cheap… but it certainly feels quality, and you can pay more – much more – for a rival offering. 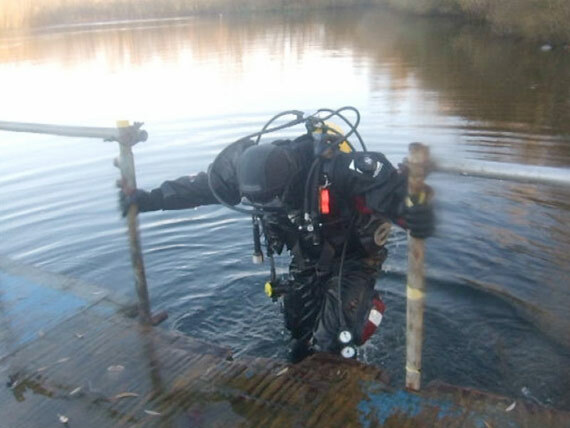 In 9-degree fresh water in December in the UK it was toasty, so it’s hard to see what how the recreational diver could wish for more. The worst of our winter is yet to come, but I reckon the Fathom could handle it. Amongst its varied customer base, Typhoon can boast the UK forces and overseas militaries – a specialist field that demands ruggedness. 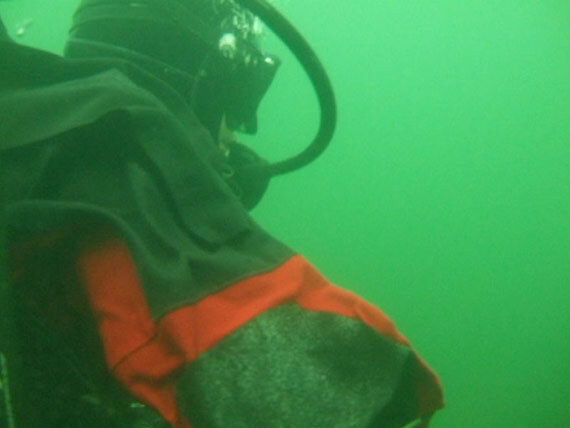 For the military wearer user, a drysuit that keeps the cold water out could be the difference between life and death. 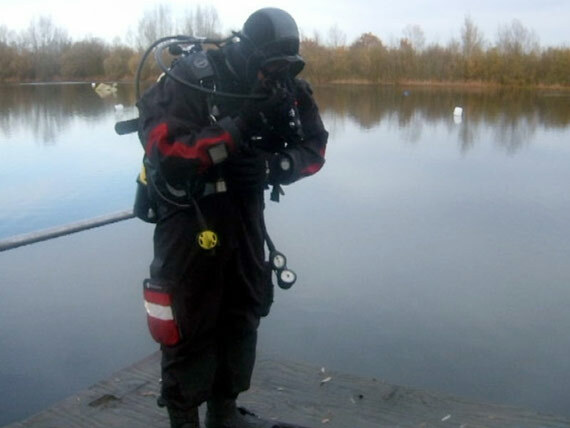 For sport divers, the demands on a suit may be less onerous but the suit designs are the same. Whatever your diving requirements, the Typhoon Fathom should keep you as dry as a Martini. 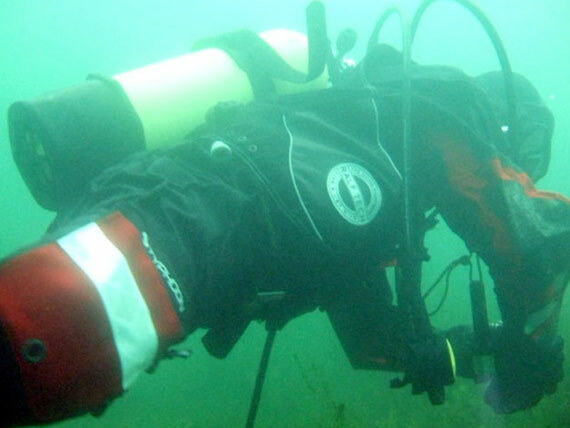 Could the Explorer be the machine to take closed circuit diving mainstream? Is there a six-foot long fish lurking in a local lake?